A.I.P. Products opened for business in June of 1962 in Odessa, Texas. Today A.I.P. Productsï¿½ sales force reaches eleven of the southern US States. We offer a large selection of merchandise along with a knowledgeable and courteous sales and office staff. 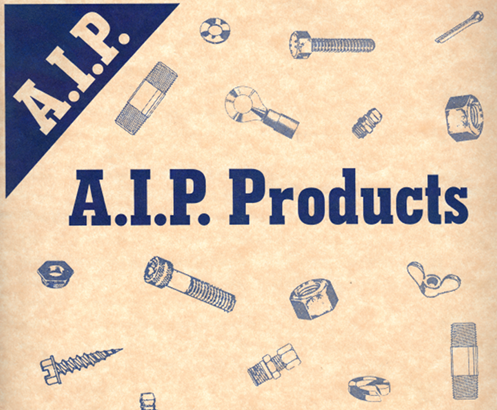 A.I.P Products is proud of its family owned business environment. A.I.P. is large enough to serve you yet small enough to know you. We are an aftermarket expeditor of small parts and fasteners of all types. Feel free to browse through our large selection of Grade 5, 8 & 9 fasteners, Metric fasteners, Brass fittings, Wire and Electrical products, Body clips, and much more. All Grade 5, 8, & 9 fasteners are American made as well as our wire and electrical products. We offer competitive pricing while always retaining quality merchandise.